I'm Jelmer. In June I'll finished with my MSc in Artificial Intelligence, and now I'm working as a full time API/Web developer for a Geospatial Analytics company in Edinburgh to follow up my 10 years of work as a freelancer, teaching and research assistant, and software developer. I want to make stuff. This website shows some of the software and web projects I made. It has been my hobby ever since my parents gave me my first LEGO set. 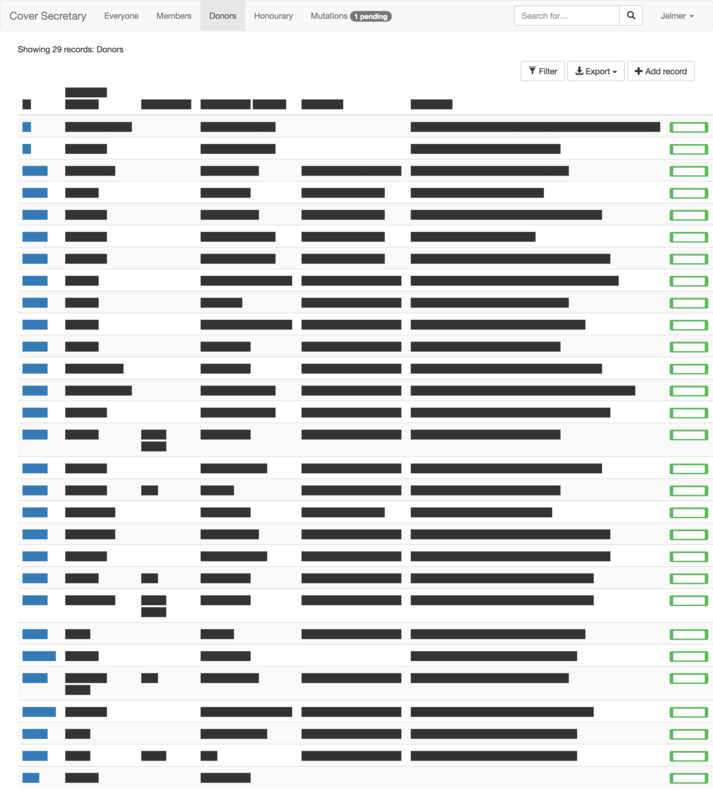 Most of my projects I store and share on Github or Bitbucket but not everything is public. A more complete list of my professional and educational career would be my curriculum vitae, or my less detailed LinkedIn. For interesting projects, work, questions, advice, coffee, spam, you should drop me a line at jelmer@jelmervanderlinde.nl or call me: +44 755 105 4305. I have been making websites since I first found out Netscape came with a program called Composer, which allowed me to make my own websites! The Stemwegwijzer is a small web-app that points you to the nearest polling station, measured in walking/cycling distance. 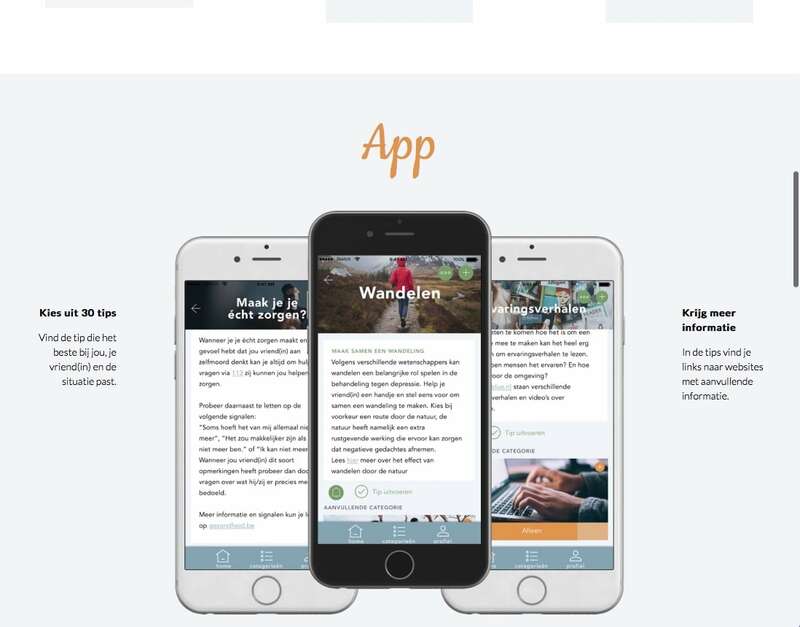 During the 2017 general elections the app was a first of its kind. We deployed it for all general and municipal elections since then. Built using Leaflet, OSRM and gopointserver. Tresoar, the Frysian archives, stores many old maps from the region in their archives. This website makes these available. It filters them when you focus on a specific region, and you can view them together with other old and up-to-date maps and spatial information. 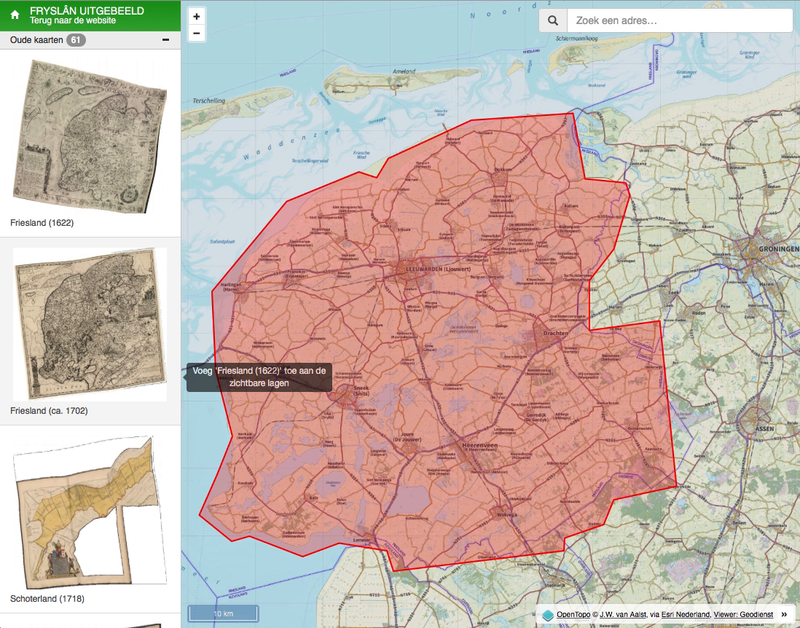 Built using OpenLayers and Geoserver. 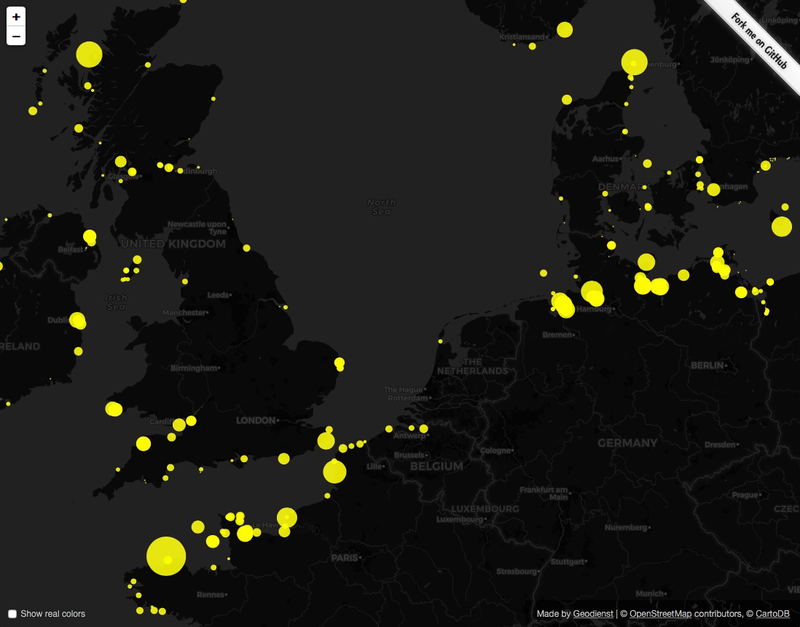 This interactive map shows all the lights at sea that have been mapped in OpenSeaMaps. Each of these lights flickers with their own specific pattern, and their size depicts from how far they can be seen. Experiment with data available in OpenSeaMaps. 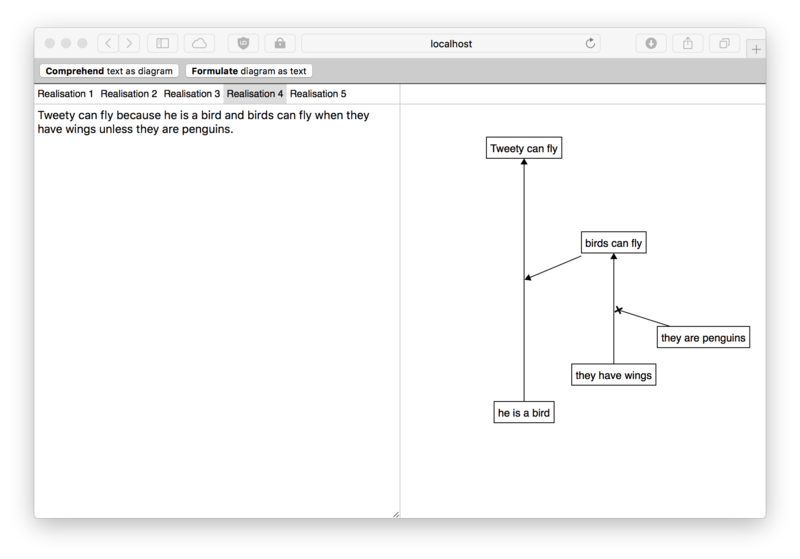 Built using Leaflet, Overpass API. 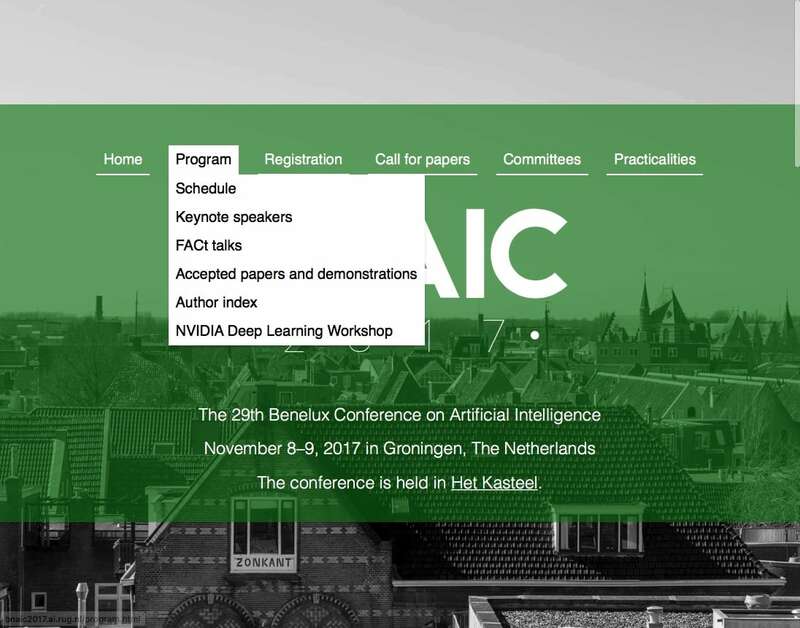 The 29th Benelux Conference on Artificial Intelligence was organized by the department I was studying and working as a teaching assistant. I volunteered to help with the organisation and made the website. 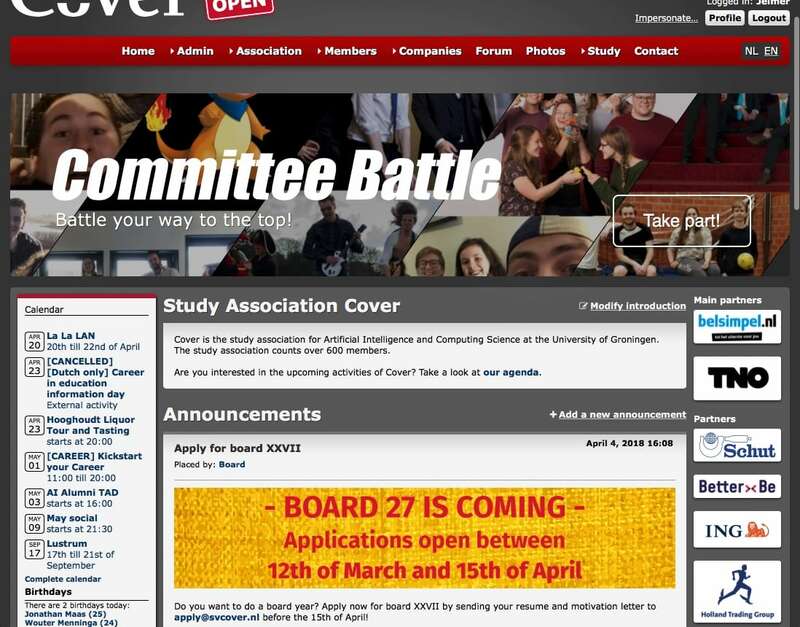 I maintain the website of study association Cover and from time to time add features, such as a policy-based authorization system, face recognition in the photo books, and mailing list management. 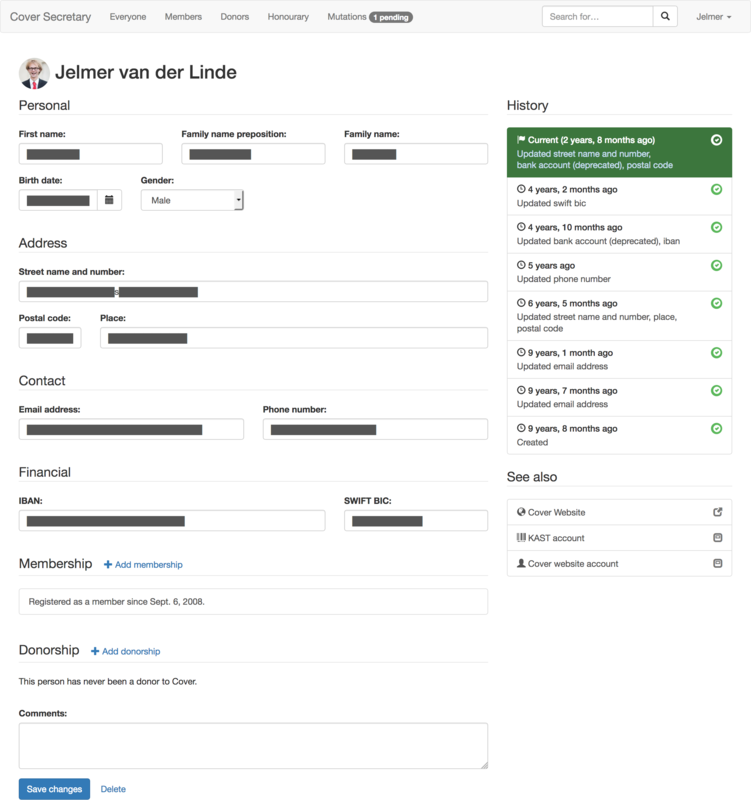 It also hosts the single sign-on and member information through its API for all other Cover applications. Built using PHP, Twig, PostgreSQL and Python. 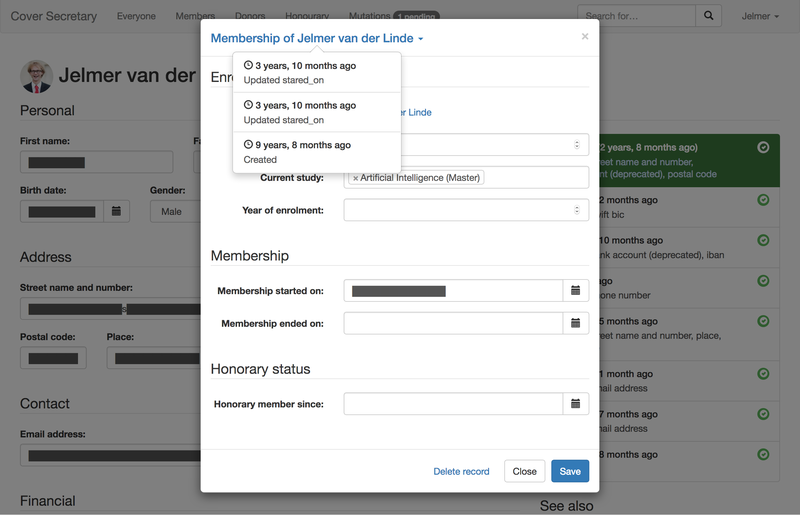 During my board year I made the member administration system for my study association. We used to use Excel for our administration, and backups were just a monthly copy of the file. Our new member administration keeps track of the changes, and is connected to the other websites of the association so members can see, use, and update their own personal info. Built using Django and Bootstrap. During my time as a student I was active in various committees of the study association, and for many of their activities I made websites. Built using PHP, HTML, Bootstrap, Semantic UI. Often people come to me with ideas for websites, often with complete designs, sometimes with just sketches. I then realize their project, depending on their needs and abilities using a CMS like WordPress. Incidentally, I have developed quite a few WordPress plug-ins. Built using HTML, CSS, PHP and sometimes WordPress. I also worked on a number of projects that are more research oriented. Most of these are implemented as web-apps as well since I'm very familiar with this architecture and they are easy to deploy. A company with a large dataset of soil samples wanted to have an integrated interpretation of their data. 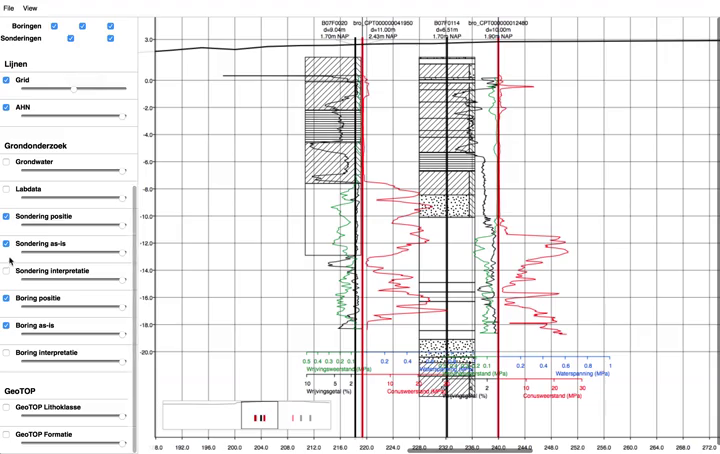 The application I developed can make an interpolation of the soil in real-time from their drilling and sounding samples. You just have to draw a line on the map and you get a soil horizon, overlaid with data from nearby measurements. 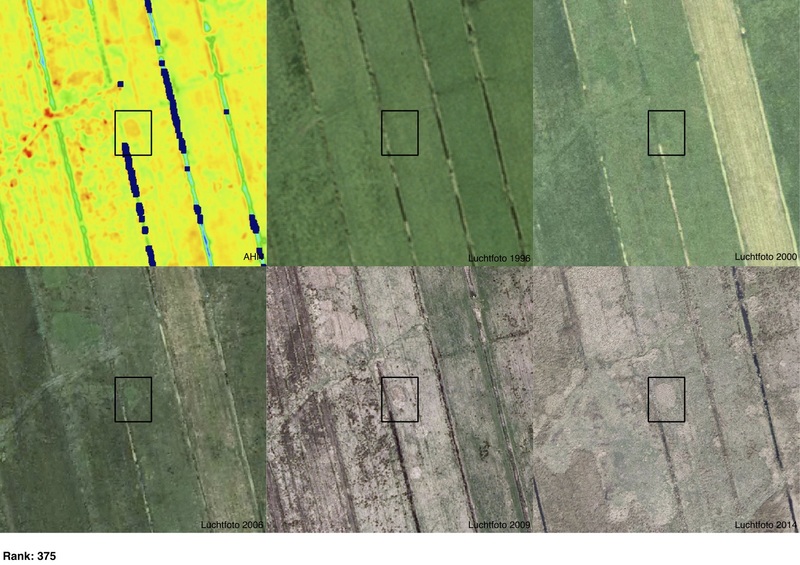 Automated analysis of the national elevation dataset for finding buried settlements. I went looking for traces in LIDAR data using a signal analysis method developed for astronomy. The research project is published as Hoogtepunten en sterrenkunde: het traceren van huisplaatsen in AHN-data (in publication). Built using C++, GDAL, NumPy and QGIS. Tablet app for language research with children. 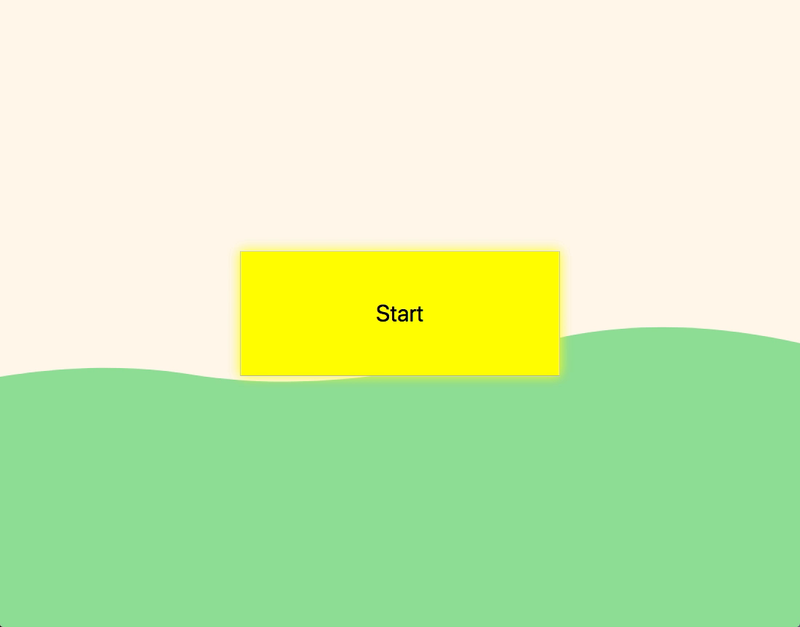 I developed a very playful application for tablets (for iOS and Android) to perform an experiments to see how children deal with pronouns like his. The characters talk to each other about each other, and the child has to tap the character that was mentioned. Built using HTML, CSS and Java (Android). 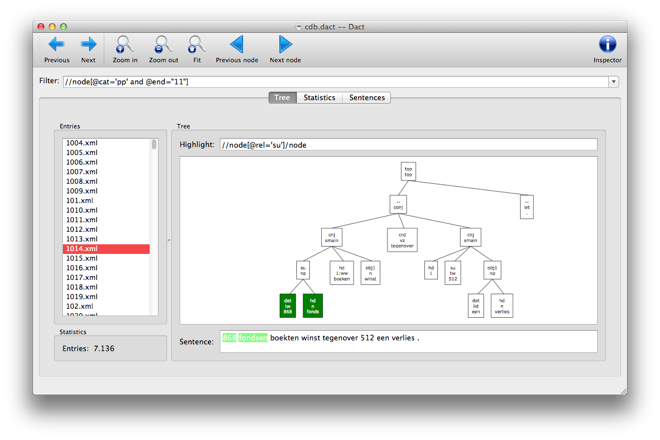 Dact is a tool for opening and working with corpora, large datasets of annotated texts. It allows you to search through it, export sections of it, and perform simple analyses. I developed many of the interface components, and the website. Built using C++ and Qt. 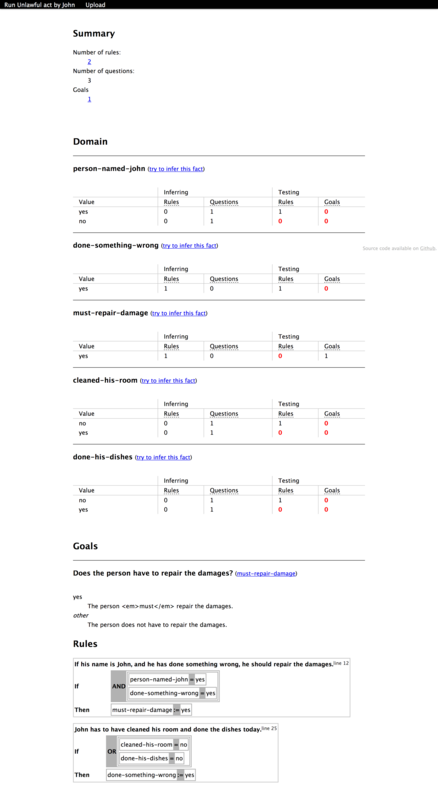 For my thesis I developed a parser and grammar for argumentative text with accompanying interface. It allows you to enter a text and see how the claims inside the text support and attack each other. It also allowed you to reverse this process, and generate text. Built using Python, Flask and spaCy. 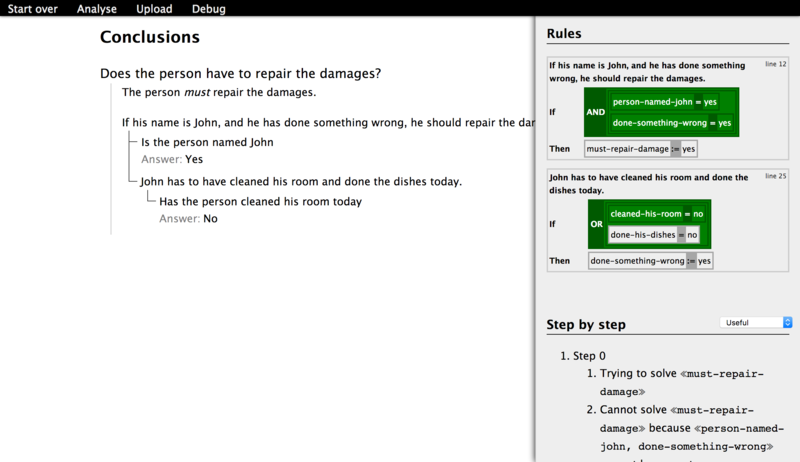 For the course Knowledge Technology Practical I made an inference system that intelligently decides which questions to ask and conclusions to make based on rules and questions coded in an XML file. It is really easy to extend and integrate, and is able to explain its conclusion. Since then the code has been provided as a starting point for all teams starting the course. It is being used in other courses as well. Built using PHP and XML. Most of the programs I made for the courses I completed are available on my Bitbucket and Github accounts. They are not actively maintained, but still serve as examples for others. A lot of my code is open, but I maintain a few proper open source projects for myself and others. Quite a bit of my code is publicly available on Github and Bitbucket. Gopointserver is a simple and fast web server in Go that filters and serves Geojson when given a bounding box to search. It started as a project to try out Golang (which I now also use for home automation) but graduated to production in the Stemwegwijzer project. 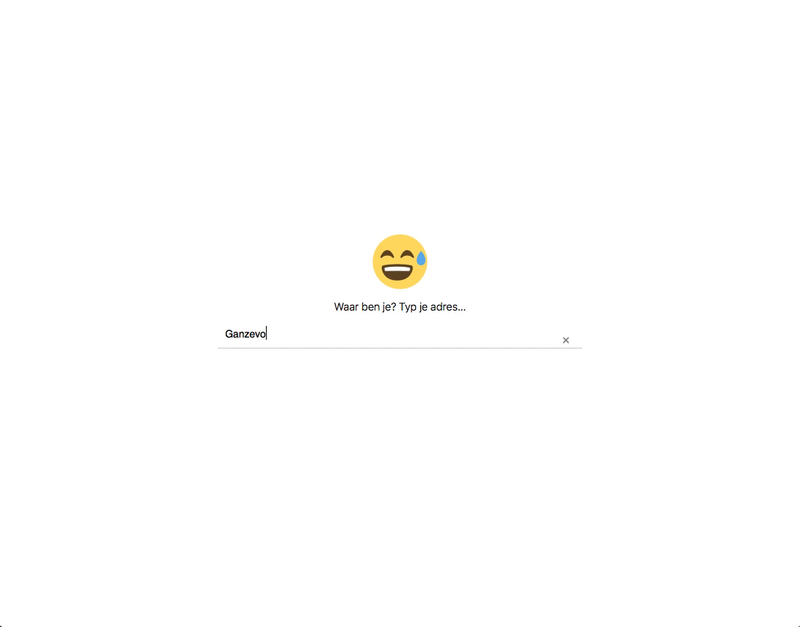 RUG UB Proxy plug-in for Google Chrome to easily access papers behind publisher pay-walls, at least if you have login credentials for the University of Groningen. Nostalgy-4-Mail.app is a plug-in for Apple's Mail.app to use Gmail keyboard short-cuts. I mostly use it myself for navigation using the j and k keys, and quickly labelling emails and jumping to labels. Above all things mentioned in this section I want to make stuff. I like to create and to turn ideas into smooth working prototypes. I have been doing this for more than ten years for my own ideas, for researchers, and for my clients. I am an engineer through and through. When building stuff, I want to do it neat, which for me amounts to solving complex problems by writing brief and easy to understand code, documenting its intentions, applying best practises. Writing semantic HTML. Be efficient with dependencies. Using a framework like React or Vue when necessary, but not depending jQuery for just as simple menu. I want to learn from others. In most of my roles as developer I was the senior or the only developer. This has always pushed me to being able to teach myself new skills, frameworks and concepts quickly. But I can only learn from the mistakes I make, and there is no good replacement for talking with others about their ideas, experiences and best practices. I want to share my skills. As a teaching assistant, I have been guiding students through their material for eight years, pushing them to try novel ideas, and coaching them while they built it. I deeply loved that job. 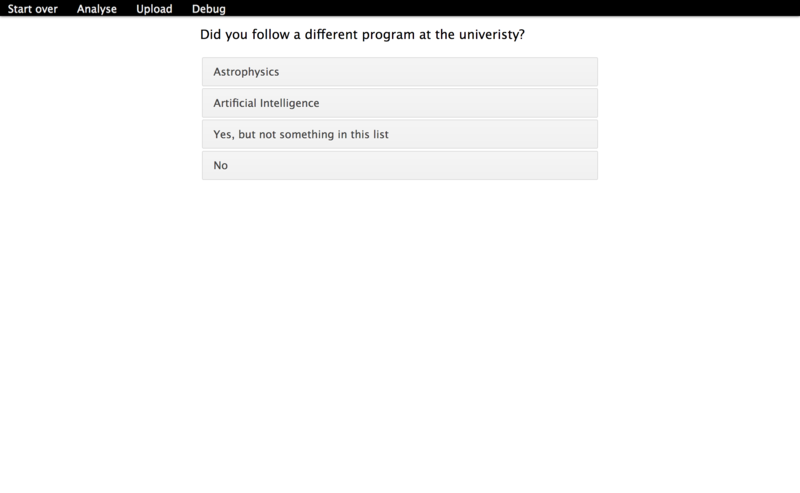 I would love to be able to build intelligent solutions. I studied AI because I truly want my life to become smarter. If you have a project where you want to put computer vision, natural language processing, machine learning or any form of knowledge technology into a real product, I want to help. I might have an idea or two. I want to take responsibility and build safe software, and I mean this in two ways. First, my experience with AI and big data made me well aware of the possibilities of it, but also of techniques to safeguard against misuse, e.g. differential privacy. Second, through the safety of the code that powers it. I know how to prevent SQL-injection, XSS-attacks and am familiar with common cryptographic good practices. These are my most relevant technical skills as a brief searchable list. The projects and my CV provide a more complete picture. contact me at jelmer@jelmervanderlinde.nl or call me: +44 755 105 4305.